At the moment, Bosch eBike Systems is the most successful manufacturer of electric bike drive systems in Europe. Bosch is a very well-known company from Germany, it was founded in 1886. Primarily, the company is famous as a manufacturer of high-quality household appliances, electrical tools and industrial technology etc. In the year of 2009 Bosch entered the electric bike market with the foundation of Bosch eBike Systems. The newly developed electric bicycle drive system was presented for the first time on the 2009 Eurobike trade fair in Friedrichshafen, Germany. In early 2011 the new system was produced in series already. Within shortest time Bosch eBike systems became the most influential impulse generator on the electric bike market. In the meantime, Bosch electric bike systems are installed in more than 50 electric bike brands including such well-known names as Bulls, Cannondale, Cube, Diamant, Flyer, Focus, Ghost, Giant, Grace, Haibike, Hercules, Kalkhoff, Kettler, Kreidler, KTM, Merida, Pegasus, Raleigh, Scott, Sinus, Univega, Winora and so on. The Bosch electric bike systems consist of engine, accumulator, charger and the easy-to-use trip computer. All of these components are optimally matched to one another. The Bosch Active Line system with its well-dosed motor support up to 25 km/h is equally suitable for everyday errand trips as well as for excursions to the country. It is aimed at cyclists who want to use their electric bike as an everyday item, but who also want comfort – that´s the reason why Active Line systems can optionally be equipped with a backpedal brake, too. The Active Line system is based on the approved 3-sensor concept from Bosch which ensures optimal pedal assistance in every situation. The Bosch Active Line engine can be installed into electric bikes with derailleur gears or hub gears. Due to its gearing layout the design is perfectly integrated and secures more ride height. The improved drive concept has stronger electrics and convinces with very low vibration. This ensures a very unique driving experience. By the way, the Bosch Drive Unit has been awarded with the desired Red Dot Award for product design! - Engine support up to 25 km/h. The strongest Bosch electric bike drive system is developed especially for sportive, powerful driving. There are two versions of the drive unit (engine): One with motor support until 25 km/h (Drive Unit Cruise Performance) and another version with motor support up to 45 km/h (Drive Unit Speed Performance). Both versions convince with high-performance electronics, low-vibration running and low weight (< 4 kg). Something special is the 3-sensor concept which secures an absolutely unique driving experience. Both the Bosch Active- and the Bosch Performance Line systems come with the appropriate accumulators (Li-Ion batteries with optionally 300 Wh or 400 Wh, placed at the frame or at the luggage carrier), suitable chargers and the “Intuvia” on-board computer. The Intuvia shows you relevant data like speed, charge level etc. Furthermore, you can use it to choose one of the 5 driving modes (Turbo, Sport, Tour, Eco, Off). A very useful new feature is the shift recommendation which allows you to save energy and battery power. The new Bosch Performance Line CX drive engine is the strongest of all Bosch electric bike systems so far. It was created for the model year 2016. The Bosch Performance Line CX drive unit supplies more power than ever and a much faster acceleration – even on mountain trails with many steep climbs. The strong engine with its powerful acceleration provides the ultimate Uphill Flow – that means, the Performance Line CX system is absolutely perfect for E-Mountainbikes and sporty cyclists. The maximum torque has been increased from 60 Nm to much stronger 75 Nm. If the rider uses the Turbo Mode, the engine support goes up to 300% - even at high speeds. Thanks to the “Direct Flow” feature the motor support already starts at very low pedal frequencies – this makes it easier to set off uphill or to drive out of tight curves. Despite its enormous power, the Performance Line CX drive unit is very compact and has a low weight (< 4 kg). By the way, many electric bikes driven by the new Bosch Performance Line CX systems will be equipped with the brand new Bosch PowerPack 500 battery – with its capacity of 500 Wh the strongest Bosch electric bike accumulator ever. Good news: All Performance Line tuning tools will be compatible with the new Performance Line CX, too. 3 Is it possible to optimize / tune Bosch Active & Performance Line motors? Yes! Meanwhile, there are several highly efficient tuning tools which take away the 25 km/h (or 45 km/h) speed limit to make Bosch electric bike engines much faster. 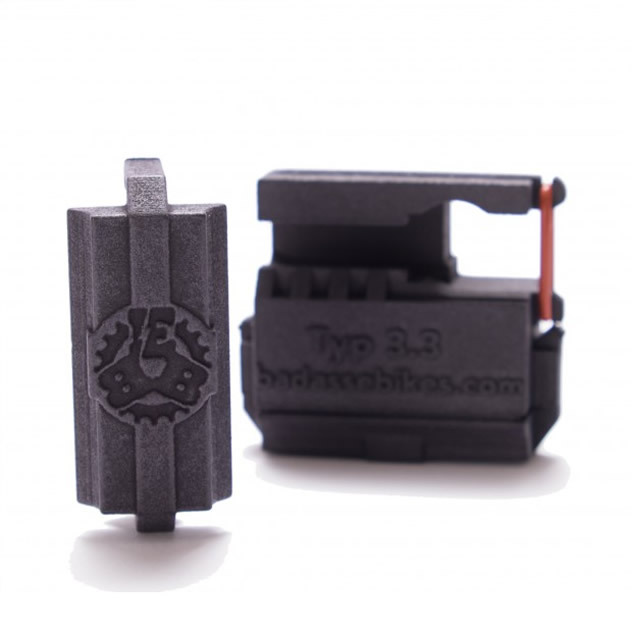 The Tuning SpeedChip is a tuning module for Bosch Active / Performance and CX Line drive systems. 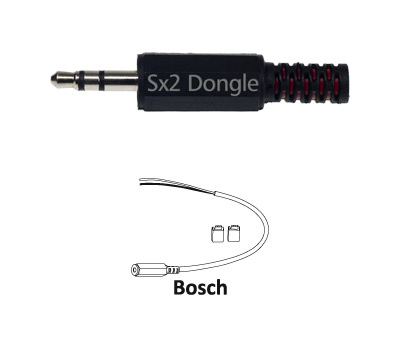 The special feature of this tuning tool is that it is equipped with a micro USB port to configure it via your PC. This enables you, for example, to set the maximum motor support to an individual level ranging from 15 km/h up to 75 km/h (about 46 mph). Another advantage of this device is that your Bosch display will still show the correct speed and kilometres (no halved values). You can activate / deactivate the tool conveniently by a short click on the WALK button. The Tuning Speedchip does not have to be uninstalled if you want to carry out Bosch updates. According to the manufacturer, the Tuning SpeedChip (configurable) is compatible with all the latest Bosch software versions and even with the new Intuvia displays. Please note: The manufacturer states the Tuning SpeedChip should be installed by a specialist. This tuning tool removes the speed limit completely. Please note, however, that sIMPLEk is a kit that has to be assembled by the customer himself using a soldering iron. So a little bit of DIY is needed here. But the installation of the assembled module itself is absolutely uncomplicated. After the installation the tuning can simply be activated by switching off and on the E Bike within 10 seconds after starting it. Even if the tuning is activated, the actual speed will still be displayed - but via the second digit and the decimal place of the electric bike´s speed display (14.5 km/h on the display would correspond to a real speed of 45 km/h etc.). After installation, sIMPLEk is no longer visible from the outside. Suitable for all Bosch Classic, Active, Performance & CX Line drives, optionally with HMI, NYON or PURION control unit. This tuning kit is absolutely recommendable for all customers with a little bit of manual dexterity, especially due to the low price.